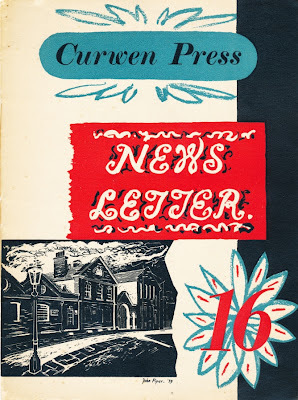 A few choice selections of some rare editions of the Curwen Press News-Letters from various sources listed in captions. First published in 1932 as a twice yearly promotional magazine, and as a showcase for the Curwen's fine printing and illustration capabilities. 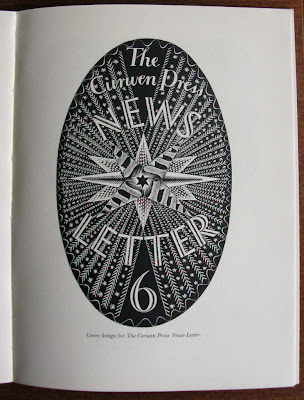 The News-Letters included covers designs by some of the most accomplished British artists of their day; Eric Ravilious, Edward Bawden, Barnett Freedman, Paul Nash, John Nash, Graham Sutherland, and John Piper. 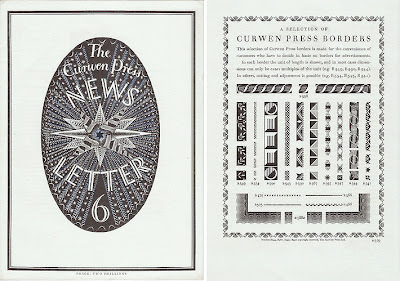 You can read a great deal more about the Curwen Press (1863 to 1983) in a recently published book by Brain Webb and Peyton Skipwith as part of their Design series. 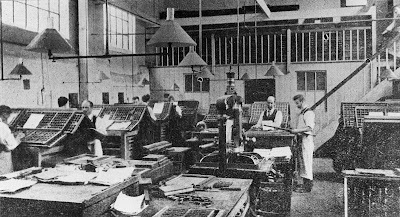 This book is about Harold Curwen and Oliver Simon, and it charts the golden years when the press was in their capable hands. The book is beautifully illustrated with images from many of the artists mentioned above. 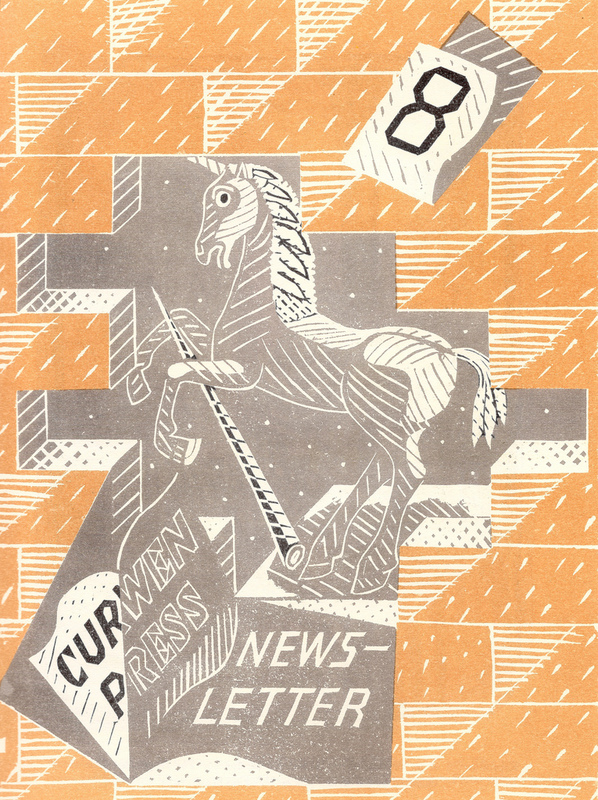 1934 Curwen Press Newsletter 8 with cover design by Edward Bawden. The unicorn was the identifying mark and many variations of it had been designed over the years. One of the more popular unicorns was designed by Eric Gill. 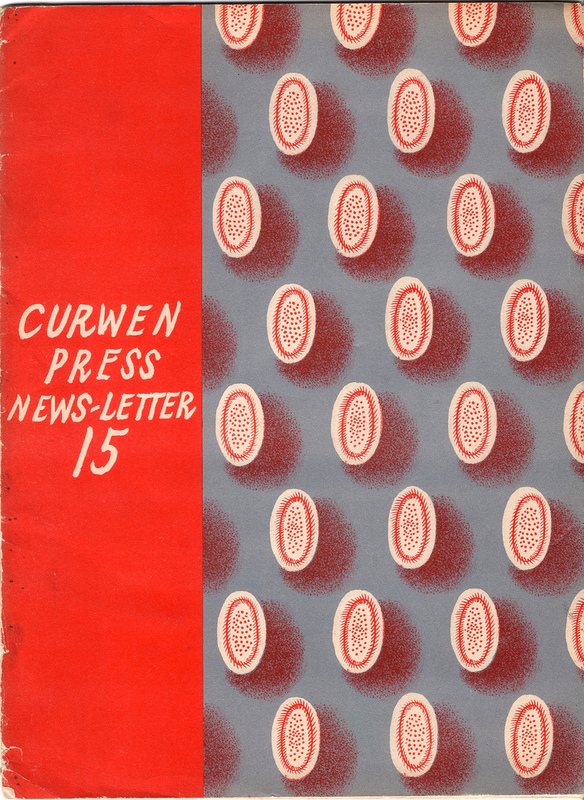 The 1938 Curwen Press News-Letter 15. 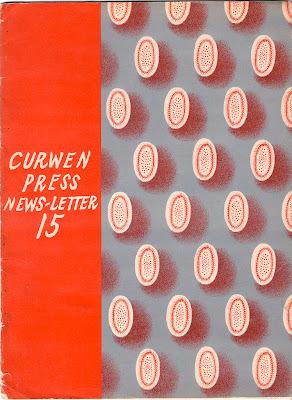 The 1939 Curwen Press News-Letter 16 with cover design by John Piper. Ian Beck added a wonderful feature on this piece earlier this Spring on his blog which you can find here. Lots more to explore while you are there. 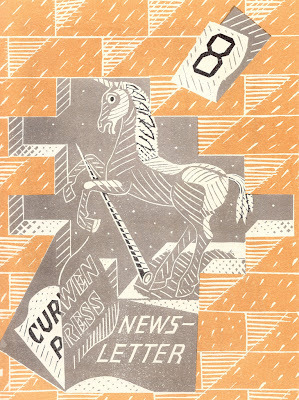 Copy of the cover design for the Curwen Press News-Letter 6 by Eric Ravilious in 1934. 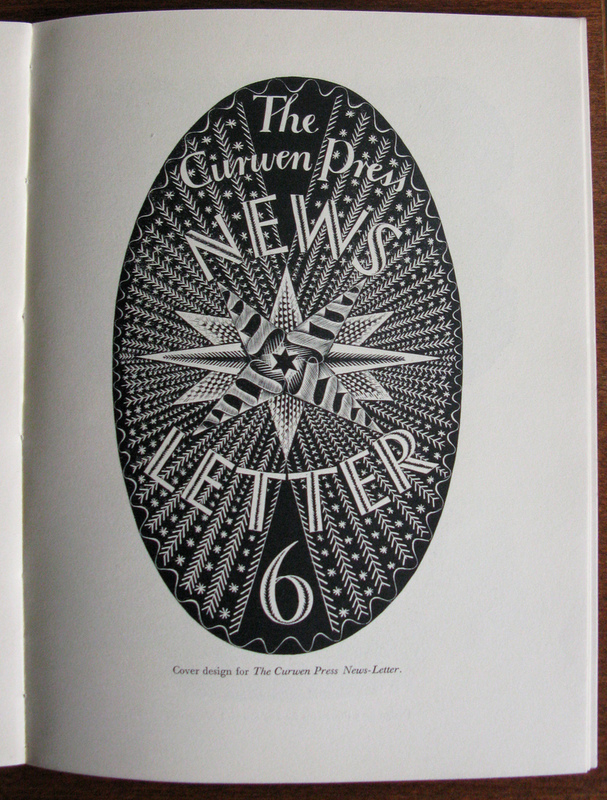 Left: Actual cover design of the 1934 Curwen Press News-Letter 6. Printed in black and hand colored in blue. 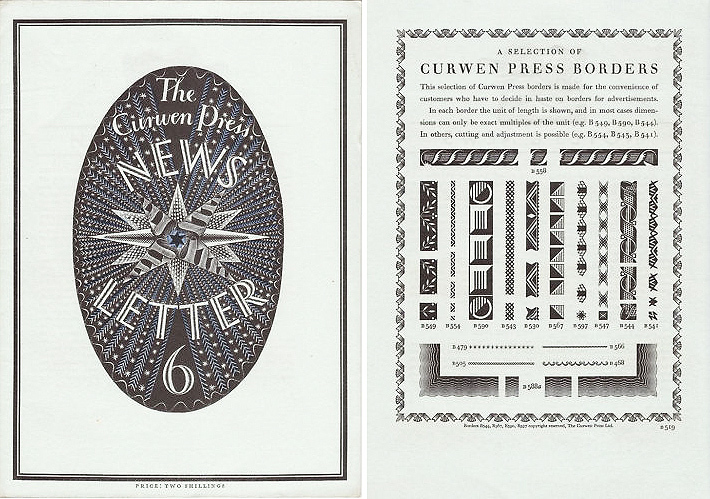 Right: A selection of Curwen Press borders, including a new one by Edward Bawden. As seen on eBay. 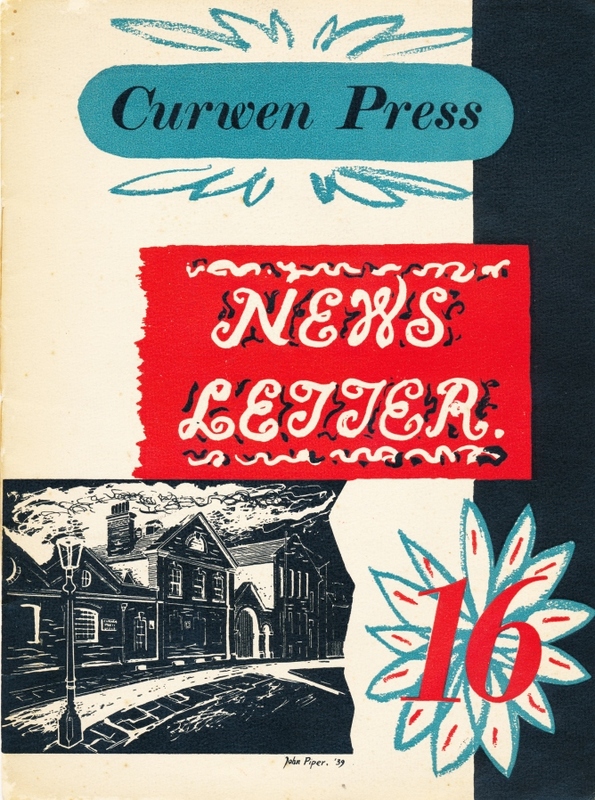 Advertisement in the 1939 Curwen Press News-Letter 16 for J.M. 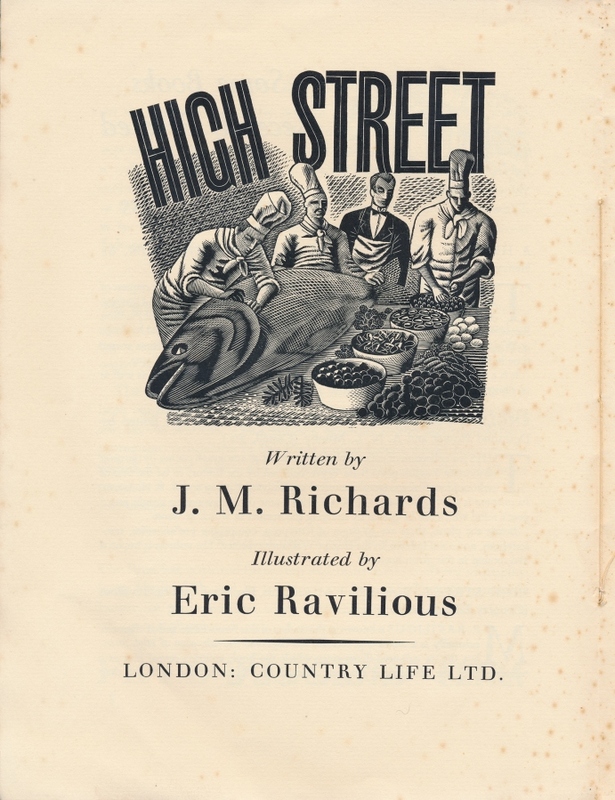 Richards and Eric Ravilious' High Street which was about to be published. Recently, Ian Beck reported in his blog, "A greater part of the printed stock of this wonderful book was lost in the Blitz making it a great rarity". Last November I added a short piece on Ravilious, High Street and the Curwen Press which you can find here. Thanks again go out to Ian Beck for sharing this great work and others. 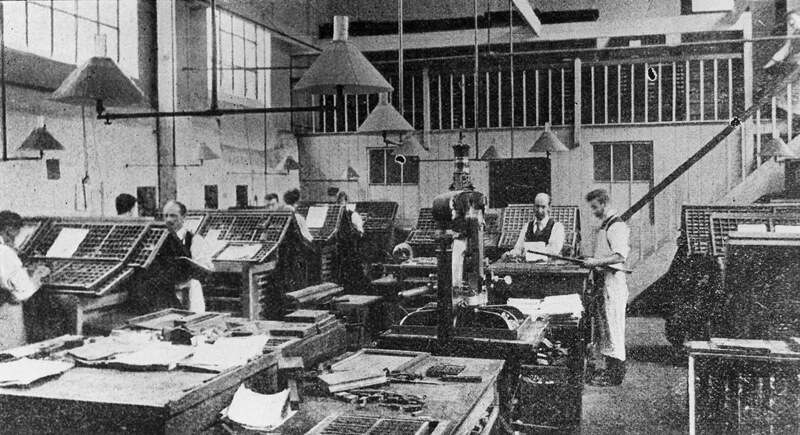 Composing room at the Curwen Press circa 1900s.